When is a church like a Swiss Army knife? The debate about megachurches has been going on for years. Inside the church, some of the most insightful observations have been offered by theologian David Wells, sociologist Os Guinness, and seminary professor Michael Horton. 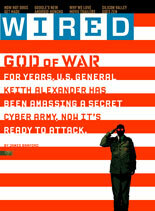 Recently, Wired Magazine offered an outsider’s perspective. Art and photography writer Pete Brook focused on megachurch architecture by commenting on Megachurches, an exhibit of the work of photographer Joe Johnson. Critiquing faith or presenting some form of exposé is not Johnson’s intent… “I was never interested in a critique of faith itself. This work was motivated by questions I had about the faith industry,” says Johnson who tried to be neutral by balancing wide shots with details. Even so, Johnson can’t avoid offering a few comments about the services that are conducted in these highly secularized spaces. Johnson has observed that there is more going on in megachurches than prayer. Serving multiple functions, megachurches are “places where entertainment, doctrine, and politics converge,” he says. Toward the end of his Wired article, Pete Brook offers his own observations about the minimal impact megachurches have had on church attendance—in spite of their massive growth since the early 1980s. Brook also gives us a nice summary the “Christian-as-consumer” approach to worship that is normally part of megachurch philosophy and practice. Frequently led by charismatic “pastorpreneurs,” megachurches are often likened to corporations. MBA degrees are as relevant as ordination when it comes to managing the large scale outreach and communication operations of big congregations. Megachurches have often been criticized for adopting corporate-style market research and advertising campaigns to attract new worshipper-customers, but much of that could simply be seen as providing a better customer-service experience. Instead of wooden benches and drafty naves of old chapels, megachurches boast convenient parking, coffee shops, restaurants, bookstores, childcare, and a host of other familiar needs typical of our service economy. This is very well said. Five decades of megachurches, huge church budgets, multimillion dollar mortgages, and “entertainment Christianity” may finally be coming to an end as the church will need to speak and act more prophetically and boldly in an increasingly darkening American culture.